From the author of The Last Testament comes the true love of Bonnie Prince Charlie, her adventures in America, and her lasting legacy. 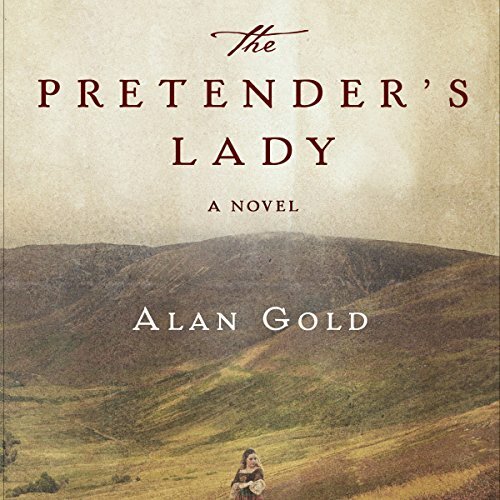 In the popular genre trailblazed by Antonia Fraser and Phillippa Gregory, The Pretender's Lady, Alan Gold's meticulously researched novel, accurately opens history's pages on a peerless woman who helped change the course of history and whose legend lives on in Scotland today - Flora MacDonald. She was the most famous Scotswoman of her day, singlehandedly saving Bonnie Prince Charlie. This is her fictionalized life story - her relations with the prince, her flight to America, Ben Franklin's influence, and her return to Britain to lobby for peace. But what's hidden from history, revealed now for the first time in Gold's dazzling new work of fiction, is the result of Flora's and Charlie's love: a beautiful and talented boy raised on an American farm. But only she knows his true heritage and his claim to the world's greatest throne. And only the genius of Ben Franklin understands how to use this naïve boy to change the history of America. This historical novel focuses on Flora McDonald, the young Scottish woman known for helping Bonnie Prince Charlie escape to the rugged Isle of Skye months after his defeat at Culloden, the prince disguised as a seamstress. Much of the story is familiar, but Gold has spun a brief romance between Flora and Charlie during the escape--one that resulted in a son whose true identity was hidden. At least until Flora decides to use his paternity to halt the rising American Revolution. The story is far-fetched (her grandson even meets Napoleon . . . ) and a bit too romancey for my taste. But I'll give him some points for creating a lively character in Flora and for his depictions of the rugged Scottish countryside. In this book Gold takes the reader on a journey of discovery regarding Flora MacDonald and Bonnie Prince Charlie. Some know the story well and others not at all. This is a delight to all. Gold manages, as few authors can, to fabricate an alternate history that changes destiny with an adept hand that engages the reader. Stay with the fairy-tale dear reader – the end game is fun. Very interesting read about Flora MacDonald. I really enjoyed the book. Good history and story. kept my attention from the start. Well done. Would highly recommend Excellent narrator.